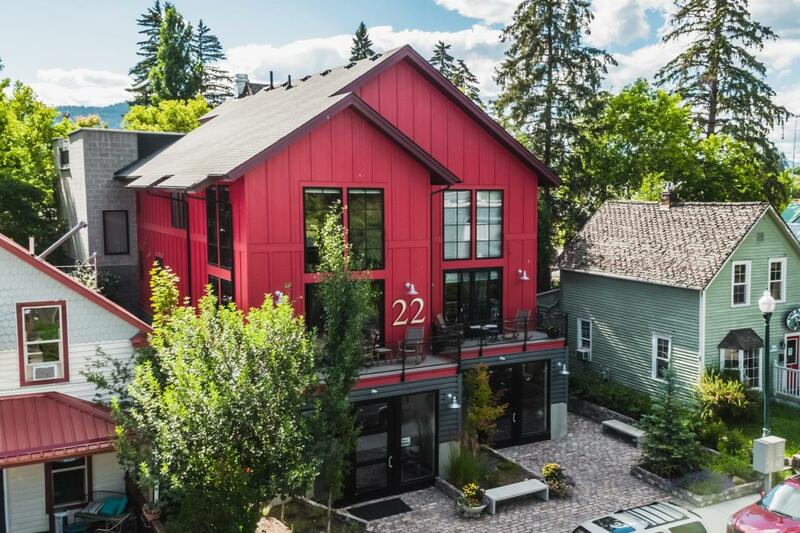 Welcome to 22 Lupfer, a stylish building in the Railway District in downtown Whitefish housing 4 residential condos and 2 commercial condos. Unit 204, also known as Suite D, is a 1-level, 2 bedroom, 2 bath unit with 1,218 sq. ft. Large covered deck facing south with views downtown to enjoy. Full kitchen, dining area, and comfortable living room, this condo is offered turn-key, fully furnished. Common area includes a rooftop terrace with BBQ, dining area, and fire pit. This condo has one dedicated covered parking space and large storage closet in parking area. WB-3 Zoning allows for nightly weekly rentals. Call Stephanie Skinner; 406-261-8430, Pat Donovan; 406-261-8430, or your real estate professional.